Ever since antiquity, poets and thinkers have revelled in philosophic excesses about wine and its popularity. We want to spare you extensive contemplations about what makes wine the lifeblood of many. Instead, we want to tell you what wine means to us. To us, it is a piece of home. Watching the grapes grow and being a part of the process is our daily pleasure. We accompany the vine-growers in cultivating and evaluating their vines, and enjoy tasting early crops and the first wines made from them. We also particularly enjoy sharing our love for wine with our guests – because a glass of fine wine never tastes better than on holiday, be it in South Tyrol or anywhere else in the world. This may be because, when you’re on holiday, you have the time to pay closer attention, or because you are free of sorrow and relieved from the stresses of everyday life. It may, however, also be due to the inspiring and new environment. In any case, the wine itself is always the focus. This is why we have carefully selected each wine now waiting in our wine cellar to be enjoyed with our excellent cuisine. 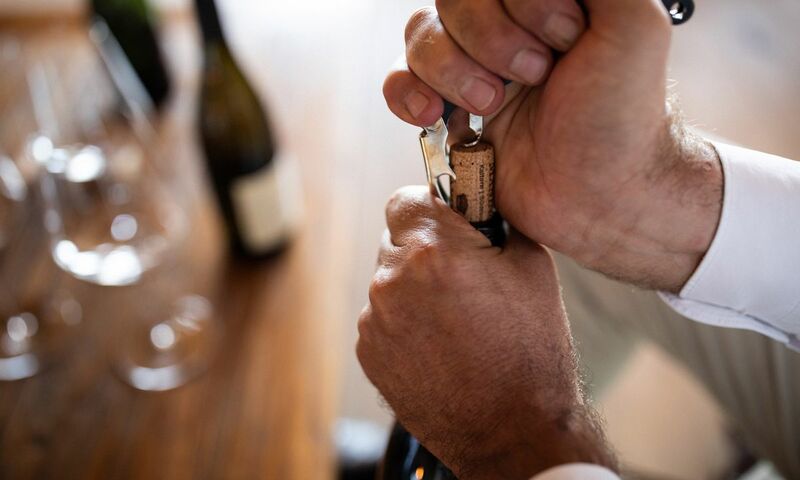 Our collection includes 400 wines, ranging from regional, national, and international classics to rare curiosities. Explore the variety of wine and enjoy a perfect moment of pure indulgence. Are you looking for the perfect accompaniment to round off your dinner experience? Host Florian Spögler, a declared wine enthusiast, is ready to help you find the right pick.